Was it just me or did it totally fly by? She used an inlaid die cutting technique to create these beauties. I love how she colored the vine to match the pretty ribbons. but you could easily substitute a for you, or happy birthday, or any kind of sentiment. FABULOUS colours, design and technique!!! Wow Deepti's tags are stunning. Such a great design. Absolutely gorgeous!! 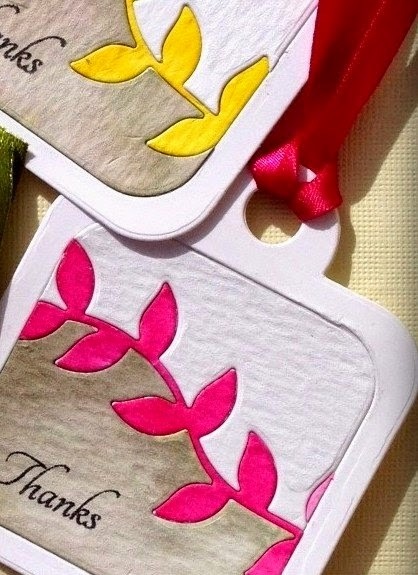 Who would need a card with one of these beauties attached to a gift? Wow !! these are gorgeous !! 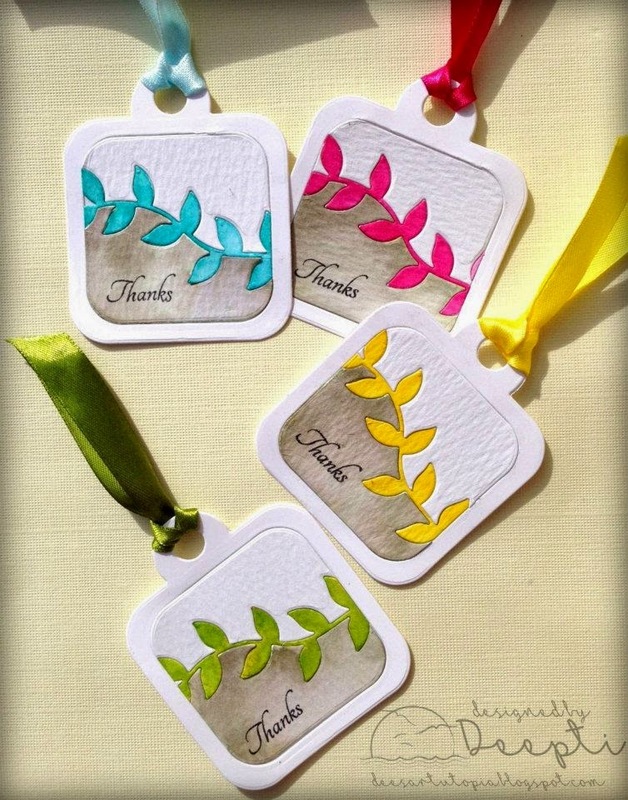 Wow, Michele, thanks for sharing Deepti's CA-UTE and sweet little tags!! I adore them! LOVELOVELOVELOVELOVE these!!! What an amazing idea!!! TFS! Very CUTE! Such a great use of the die! These tags are so gorgeous !! Love them ! This made me jump up and go WOOO!